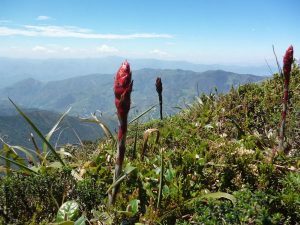 The travel itinerary of this tour in Ecuador is very complete and diverse and includes visits to the Cuyabeno Amazon Reserve, the colonial city of Cuenca and the amazing country side of the fertile valley of Vilcabamba! Because you travel partly with public transportation, this tour offers a good value for money and time. 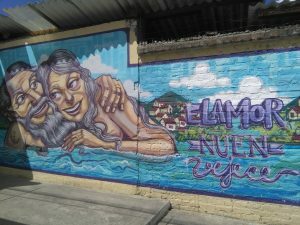 The other advantage is that your travel experience will be more realistic when you travel with the Ecuadorians, instead of just past them in a bus full with other tourists. The new national slogan to promote Ecuador is “Ama la Vida!” Freely this will translate in: “Ecuador, love and enjoy live”. A visit to this fertile country, filled with natural and cultural highlights will make you understand why Ecuadorians love their country and invite you to do the same. 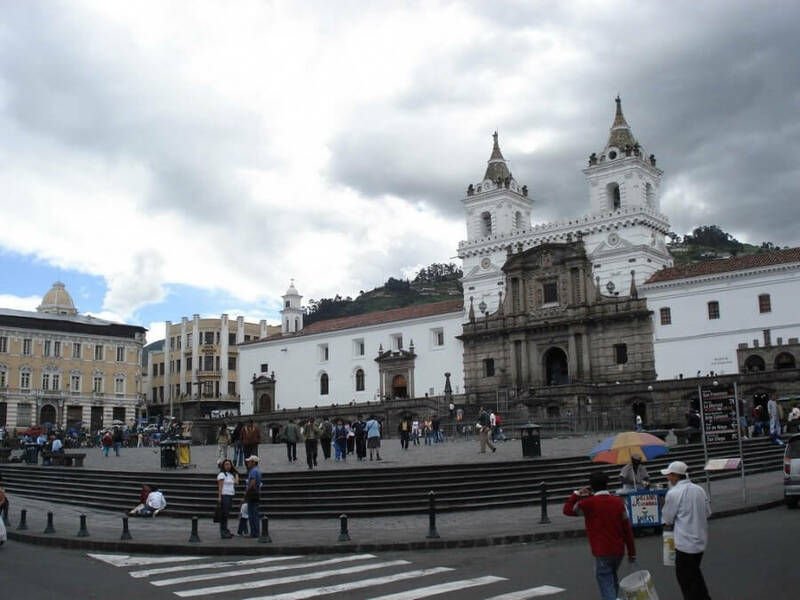 Day 1 – Friday: Arriving in Quito and private transfer to hotel. 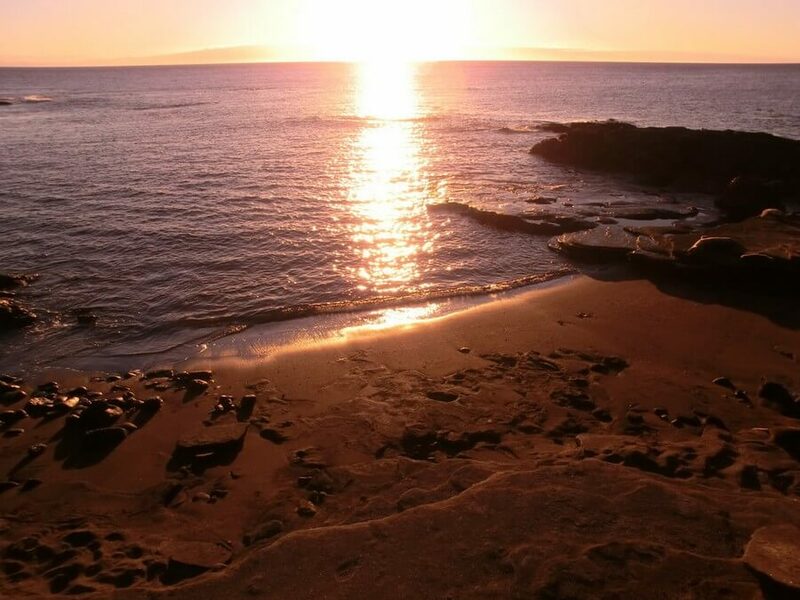 Optional: to extend this tour with a 5 or 8 days visit to the Galapagos Islands. Day 1: Friday, arriving in Quito. If you arrive early in Quito it is also recommendable to visit the Ecuator. You can visit the iconic French monument, but the actual ecuator goes through the interesting Inti Nan Museum 300 m next to the monument. 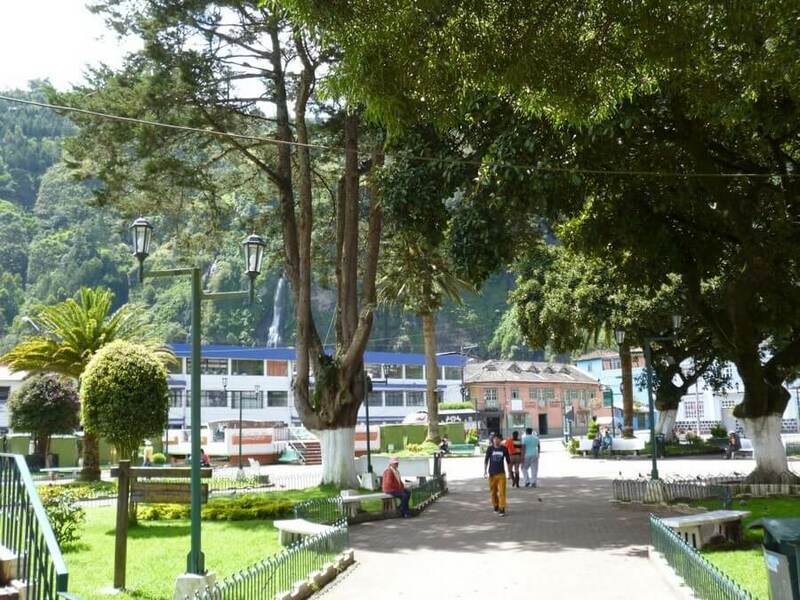 Today our private transport will take you to the bus terminal just outside of Quito, from where you can take a local bus to the friendly town of Baños. 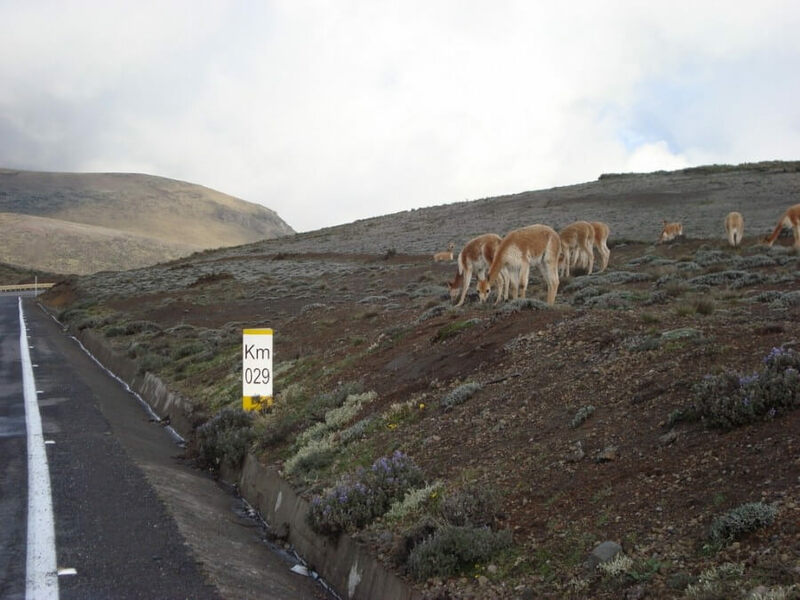 It takes about 3 hours along a scenic road through the Andes, until you arrive in Baños. 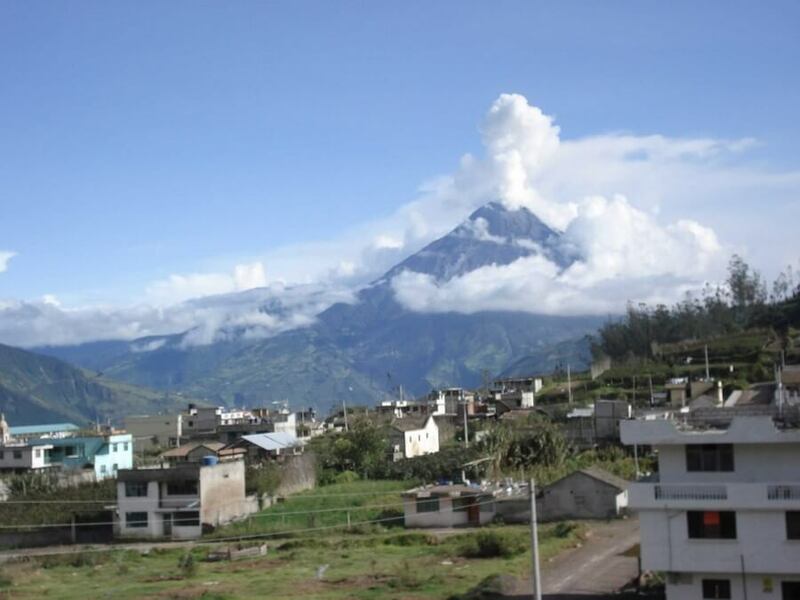 The small town is located at the feet of the grumpy volcano Tungurahua (means Little Hell). At night you can sometimes even see a bit of lava coming out of its mouth. 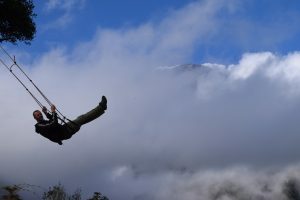 A good spot to observe the volcano is from the swing of “Casa del Arbol”, a small tree house on the top of a hill, at a two hour hike from the center of Baños. 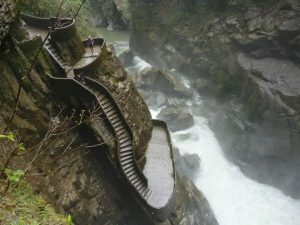 A free day in Baños, to enjoy the hot springs were the town received its name from. Because of these hot springs it has developed into a friendly tourist town with lots of activities for local and foreign tourist. These activities include: Rafting, biking, abseiling, quad riding, hiking, spa treatments and more. For who wants to do something more active, it is a recommendable tour to bike the road downhill from Baños to Puno along the Pastaza River. Along the way you will pass by steep cliffs, several waterfalls (inclusive el Pailon del Diablo) and will also be treated with great views over the Pastaza River and the edge of the Amazon Rainforest! 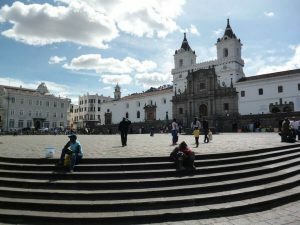 In two hours you drive by public bus to Riobamba, the most central city of Ecuador and a connection point towards all four compass points, the Andean, Jungle and coast of Ecuador. 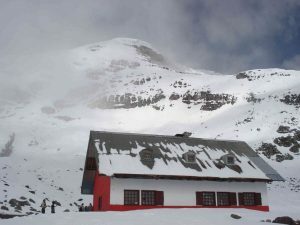 After arriving it is optional possible to join a tour and make a short walk over the slopes of the Chimborazo. 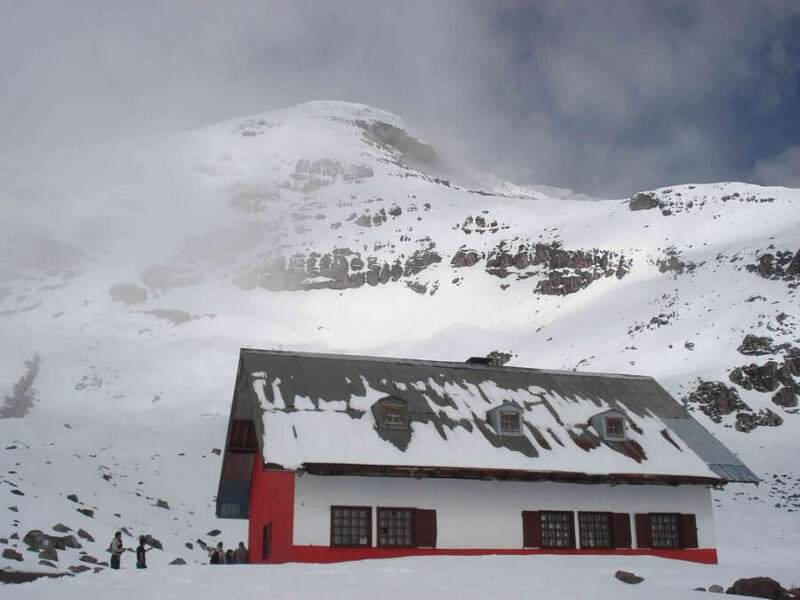 You drive to an altitude of 4800m above sea level and then you can walk by yourself the last 200m to a refuge at 5000m altitude. 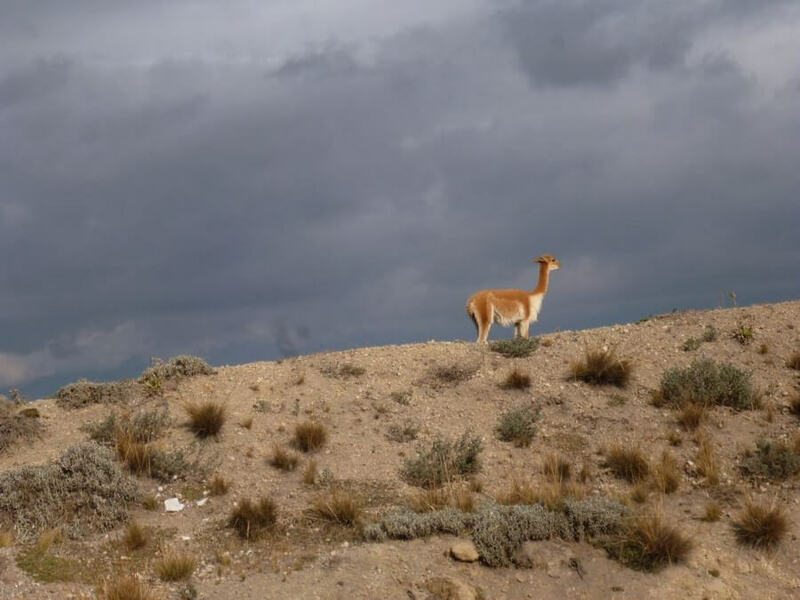 On the way you have great views and possibilities to see the most elegant Andean camel, the Vicuña. Adventures people can choose to drive their way down on a high quality mountain bike. This option allows you to stop anywhere you want and appreciate more of your surroundings. 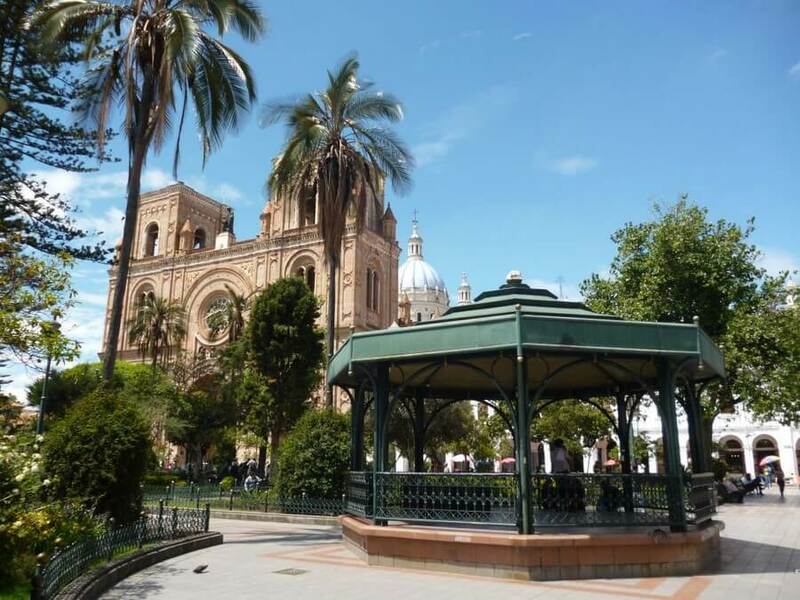 Today you take the public bus towards Cuenca. 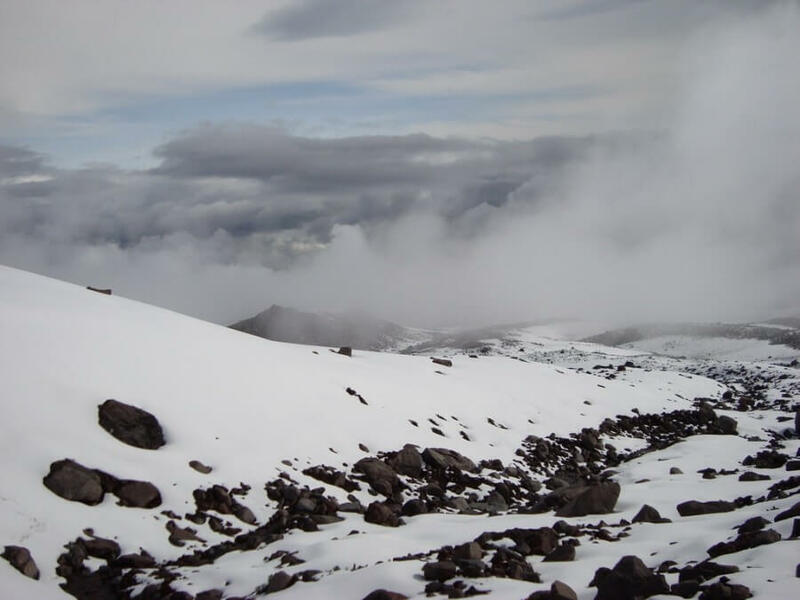 This is a very scenic route and on the way it is an option to break the journey with a visit to the archeological site of Ingapirca, one of the most Northern found Inca remains. 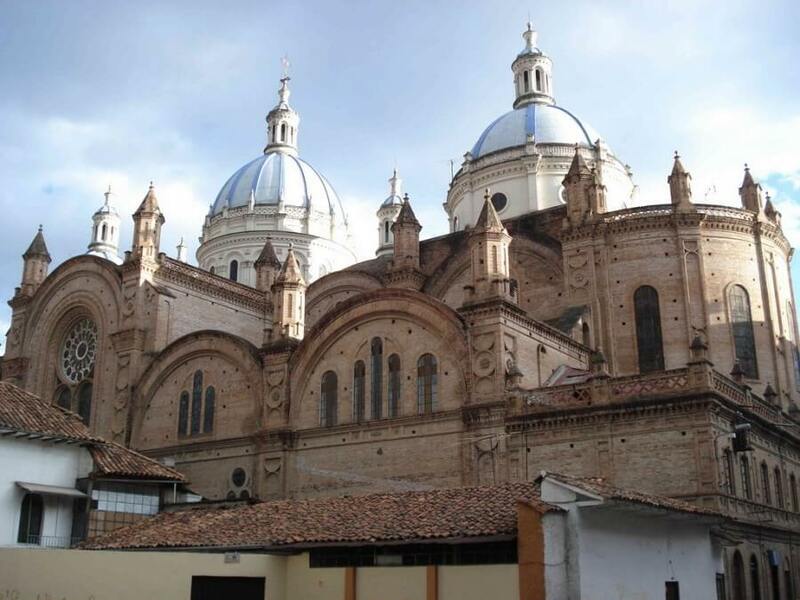 Cuenca is now the third biggest city of Ecuador, but being in the city center, it feels almost like being in a colonial town. 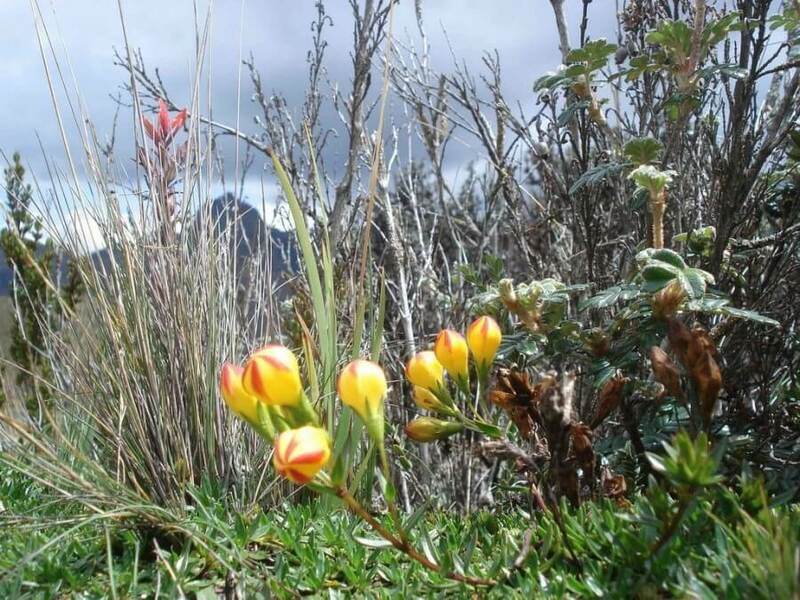 The city is built on the remains of one of the most northern Inca City’s Tomebamba. 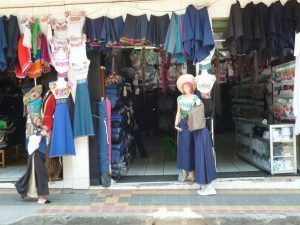 Now it is one of the best known places for assembling Panama Hats and also the city’s new silhouettes are good for taking pictures, especially late in the afternoon. 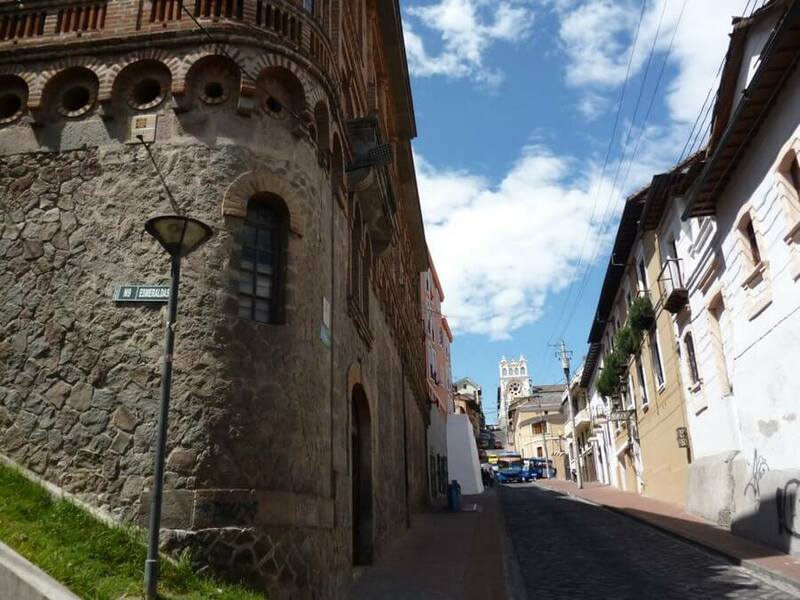 On this free day in Cuenca you can visit one of the Panama Hat Workshops and/or one of its small museums. 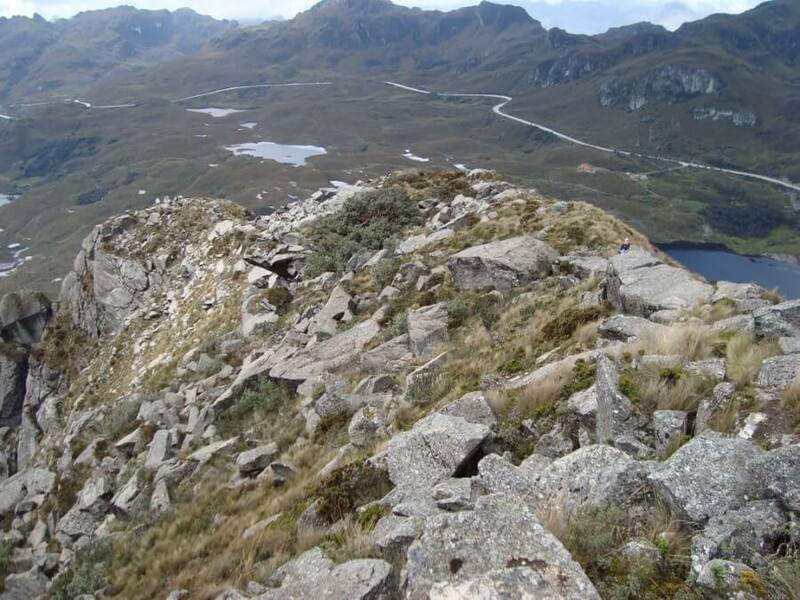 It is also a great option to join a hike through Parque Cajas. 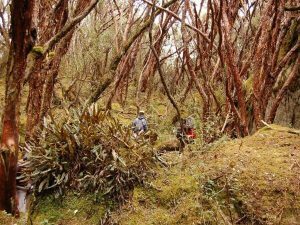 This nature reserve contains more than 200 lakes and some call it ‘The Scottish highlands of Ecuador’ because of its green hills and unexpected fogs and rain showers. 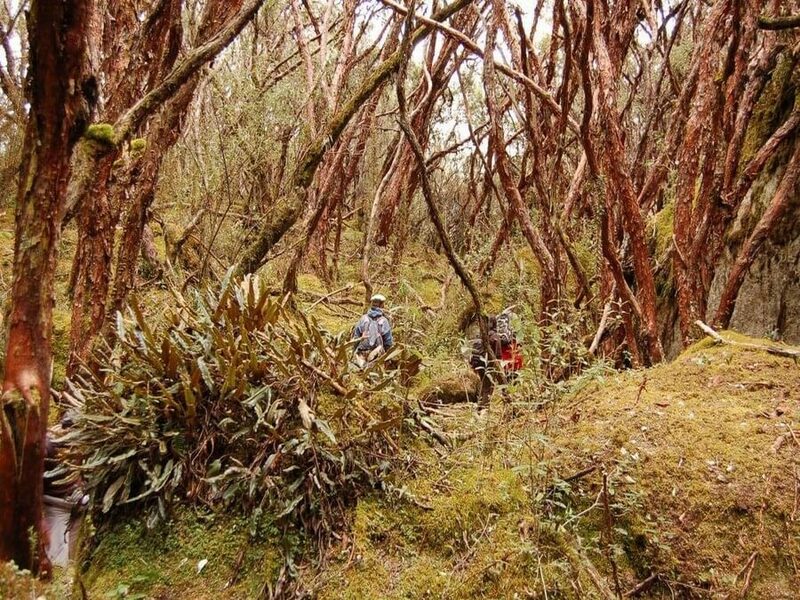 However this nature reserve is located between 3500m and 4200m altitude, which gives it a totally different and surprising vegetation, including ancient old sinuous trees with paper bark! 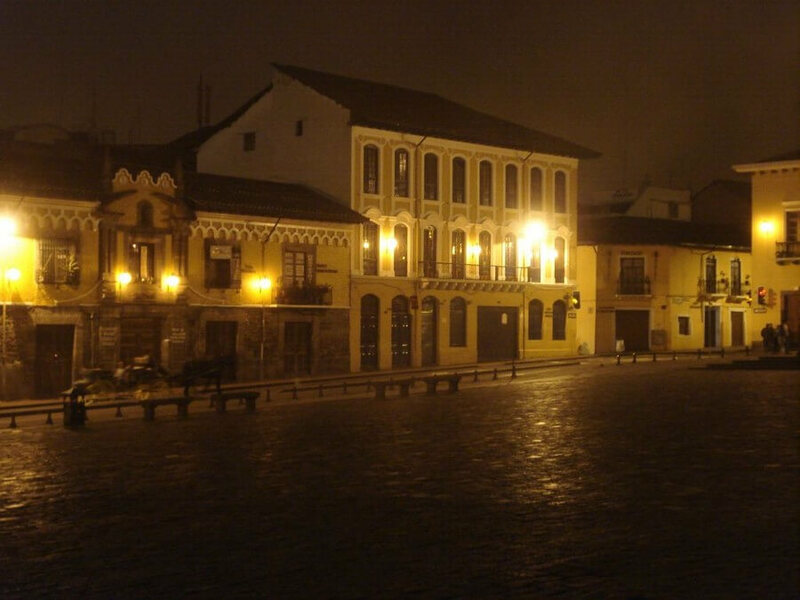 For the evenings, Cuenca has many restaurants and a good nightlife scene. 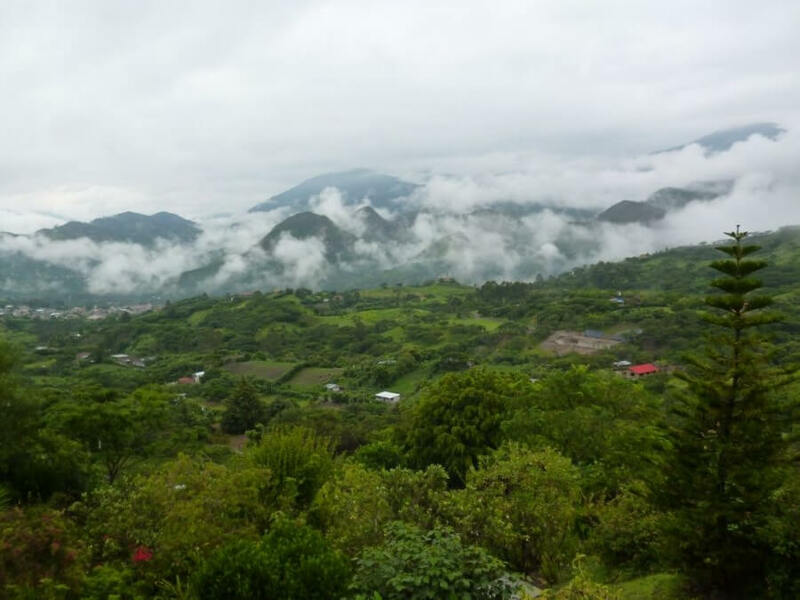 Today you will travel with a direct shuttle bus along a scenic road through the highlands and country side of Ecuador, from Cuenca to the village of Vilcabamba. According to several studies this small village has some of the highest life expectations rates in the world. Some reasons for this are the absence of industry, the fertile grounds, fresh air and green surroundings. 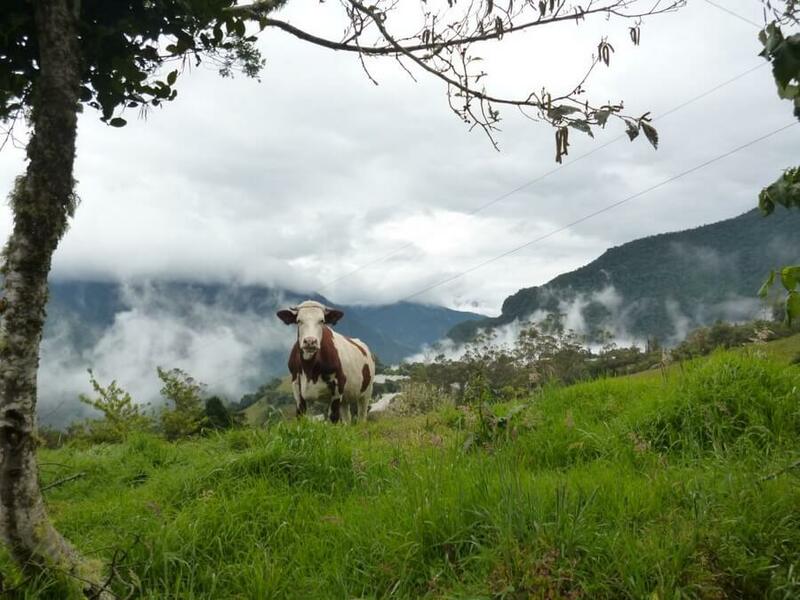 Backpackers have already known Vilcabamba for a few years, but other tourists are only just starting to discover this great place to relax, enjoy nature and/or take long hikes. 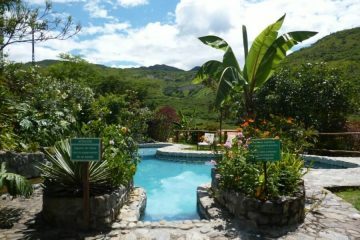 A free day in Vilcabamba to go hiking, horseback riding through the mountains, or waterfall, relax at the swimming pool, participate in one of the free Yoga classes and/ or enjoy a great massage! 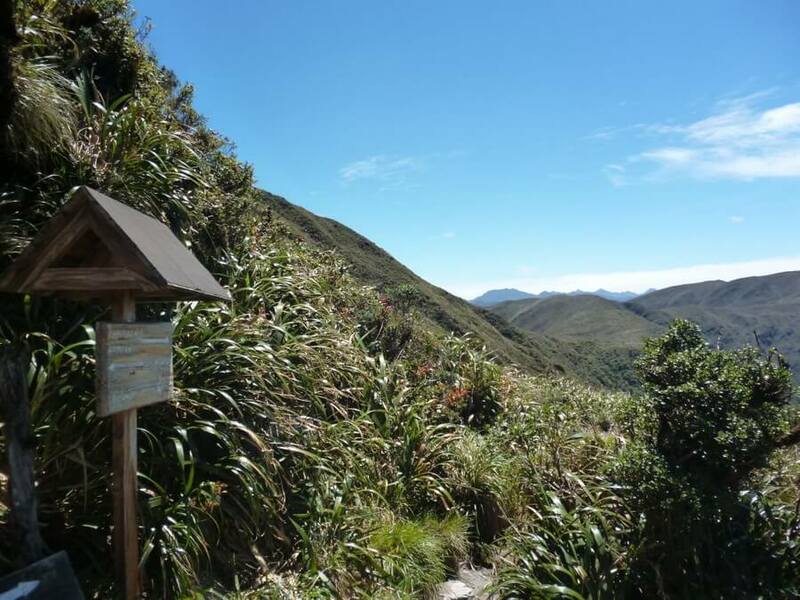 For today it could be an option to visit national Park Podocarpus, home to the only native Conifer of Ecuador and good place for bird watching. A taxi will bring you to the airport of Loja from where you take an early flight, or a late afternoon flight back to Quito. 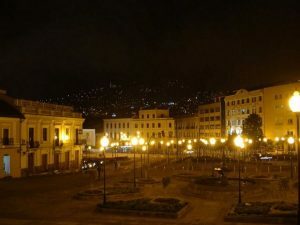 You will stay overnight at a quiet hotel between Quito and the airport. In the morning a short flight will take you to Lago Agrio, from where your tour through the Cuyabeno Wildlife Reserve starts. 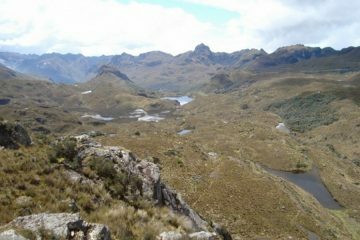 Private transport will take you and the other guests of the Jamu Lodge to the entrance of Cuyabeno. You will have lunch on your way. Then you take a motorized canoe down the Cuyabeno River for two and a half hours. 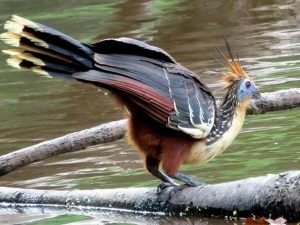 During the canoe ride you will get a first look at the jungle and will be able to observe different kind of birds like Caciques, Oropendolas, Greater Anis and the prehistoric bird “Hoatzin”. You may also be able to see a variety of monkeys and other jungle animals, depending on the time and weather conditions. You will arrive at the “Cabañas JAMU” around 4:30pm. At that time you will be shown to your rooms and you can relax a little. After a siesta we will leave the camp for a swim in the lagoon and to watch a beautiful sunset in the middle of the Laguna Grande. You will then return to the camp for dinner, and can finish your first day in the jungle relaxing in a hammock or having a drink at the bar. 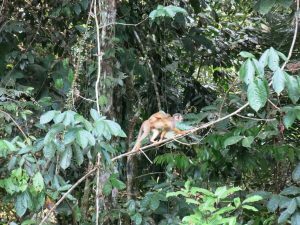 The Cuyabeno Amazon Wildlife Reserve is situated in the north-eastern Amazon region of Ecuador, between the San Miguel and Aguarico rivers, and close to the Colombian and Peruvian borders. The reserve is made up of 605,000 hectares of primary forest, rivers and lakes, and is home to an incredible variety of animal and plant life. 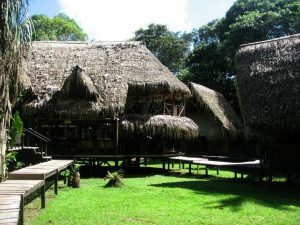 Five different ethnic groups live within the reserve: the Siona, Secoya, Cofán, Kichwas and Shuar, each of which has its own culture and language. You stay at the Jamu Lodge or a similar facility that offers an endless possibility of activities. From educational hiking to trekking through the Terra Firme forest, experiencing the muddy swamps or the Hormiga River, swimming in the lagoon, watching the pink river dolphins, bird and wildlife watching and visiting the native community, the list goes on. A Bilingual guide is always along for the activities to answer all your questions. In addition, guests can relax at the hammock lounge, or enjoy a beer or cocktail at the bar. Jamu does not use electricity all the time; candles are in use part of the time, in order to preserve energy and the jungle. There is a small place were batteries can be reloaded as well. After breakfast you can join a hike in the primary forest for 3 to 4 hours, where your guide will explain how a tropical rainforest works. 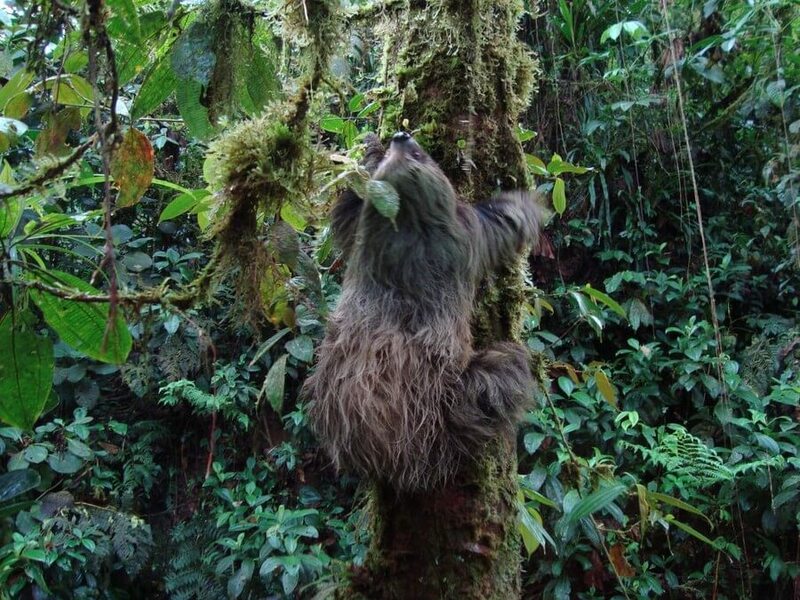 You will be able to learn about medicinal plants and might be able to see some exotic birds or monkeys. We will then return to the camp for lunch and a siesta. 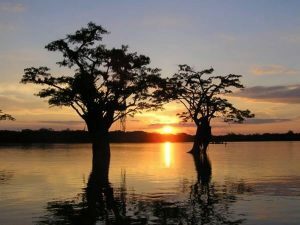 In the afternoon you will go piranha fishing, have a swim in the lagoon and watch the sunset. With a little luck you can observe the pink river dolphins or an anaconda sunbathing in a tree. 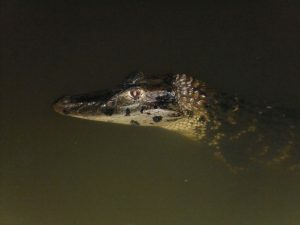 You will return to the camp for dinner, and take a night canoe ride to look for caimans. If you want to see the sun rise, you can go for an early morning bird watching canoe ride by motor canoe at around 6 o’clock. You will return to the camp for breakfast, then depart in native, dugout canoes, called “quilla” to visit a family of the community of Tarapuy. You will see how Casabe is prepared, traditional bread made from Yucca (Manioc). You can help prepare the Casabe and see how only material from the jungle is used in making the bread. You will then visit the Siona community and your guide will explain the customs and traditions of the Sionas. You will be able to see what traditions have been lost and what has been maintained. After that we return to the lodge to have a late lunch. At night, you can go on a short nocturnal hike through the primary forest in search of insects, spiders, geckos or scorpions, and listen to the night sounds of the jungle. Today is a long day with many changes. The day starts after a good breakfast by taking the motorized canoe to head back to the entrance of Cuyabeno from where you will be transferred to Lago Agrio. 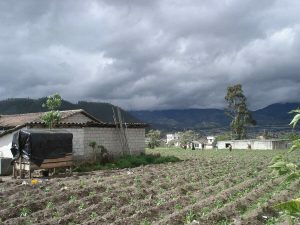 You take a flight back to Quito and private transport towards Otavalo. 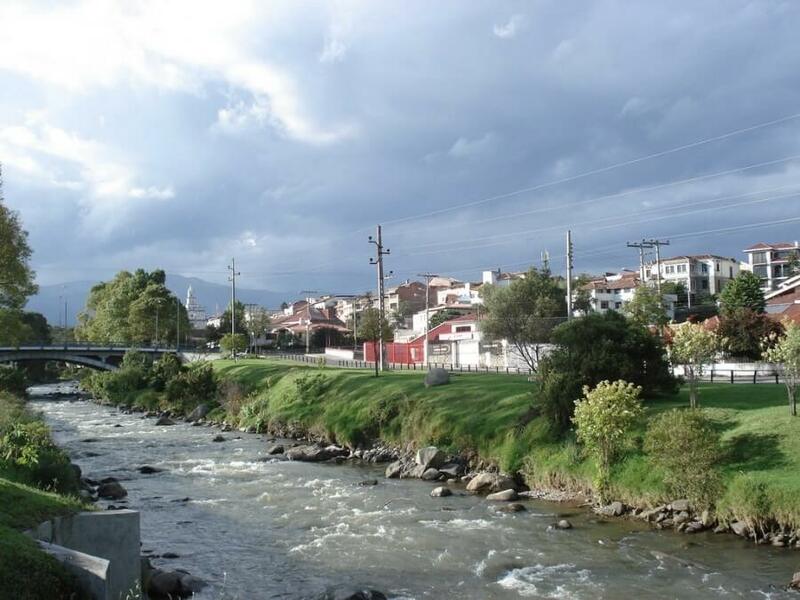 Otavalo is one of the very few places in Latin America where its citizens are proud to be indigenous and with reason. Already for thousands of years the people of Otavalo are known for their special high quality weaving techniques and commercial skills. 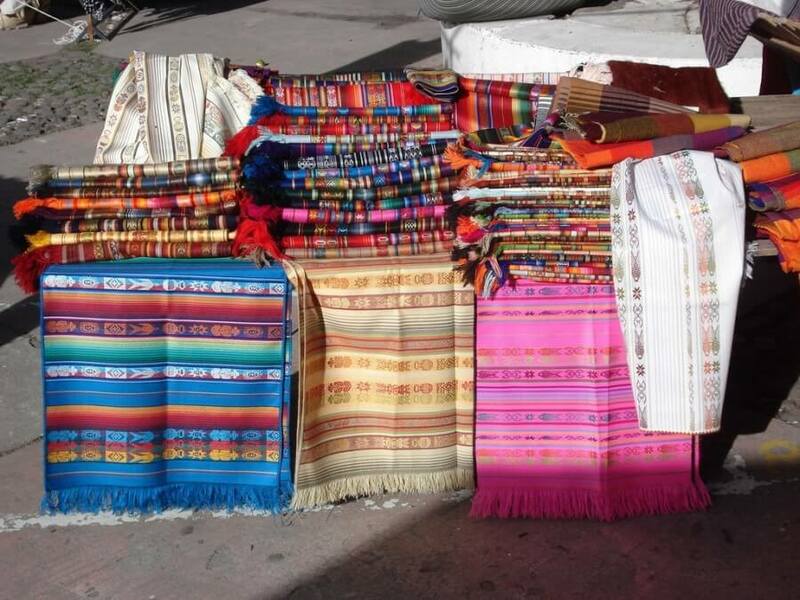 The Inca’s supposedly used their weaving skills and now the Otavalenios have shops in several places over the world, even in New York. In the morning you can explore the small town, visit the famous local Saturday market, visit a rescue centre for birds of prey, or go on a hike. 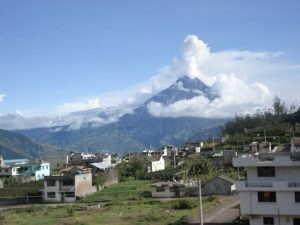 It is also possible to join an excursion to visit several small communities in the surroundings of Otavalo. 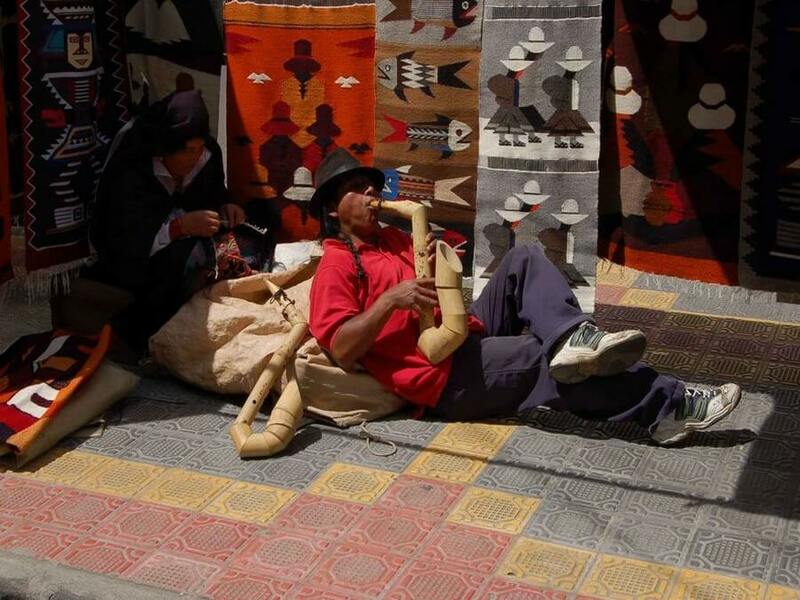 During this tour you get good views of the country side of Ecuador and you will learn about the different ancient handicrafts that are still practiced in these communities. These handicrafts include leather work, weaving and making flutes. Late in the afternoon you take another colorful public bus back to Quito (2 hours). For today you have included a transfer to the airport so you can fly back home. 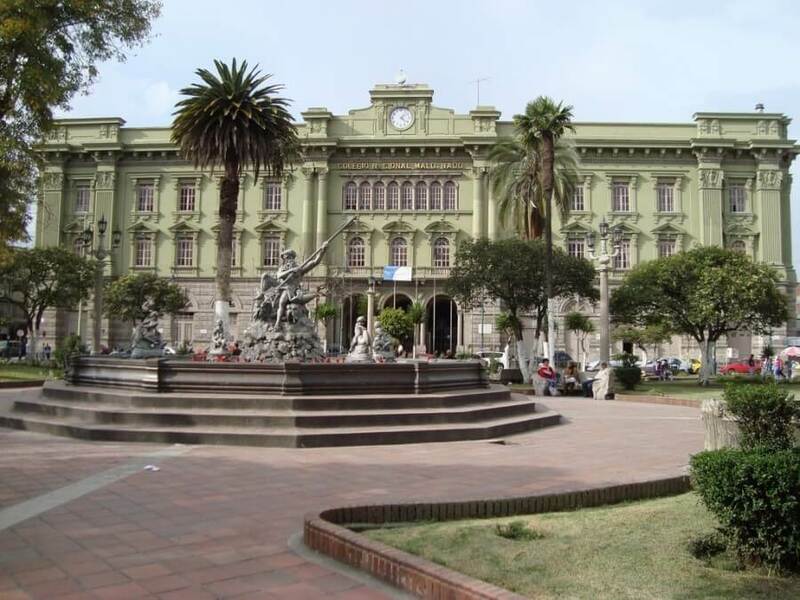 You can also decide to stay longer in Quito and/ or to book an additional tour. Note: The description of the excursions in the jungle are a general indication of a program. They might be slightly different depending on the location where you stay and weather conditions. 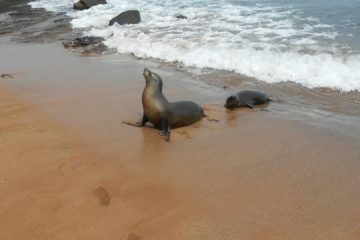 Option 1: To extend this tour with a trip to the Amazing Galapagos Islands: Galapagos Tour Selection. Option 2: To do this whole tour with private transport and your own driver(s), this will cost you 390 US$ p.p. extra. – 16 Nights with breakfast, 13 of which you sleep in well located mid range hotels and hostels and 3 nights in basic lodges in the Cuyabeno Wildlife Reserve including full pension. 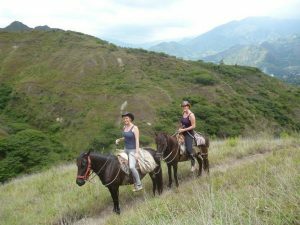 – Several interesting excursions in the Cuyabeno Wildlife Reserve. – Shared shuttle service from Cuenca to Loja. 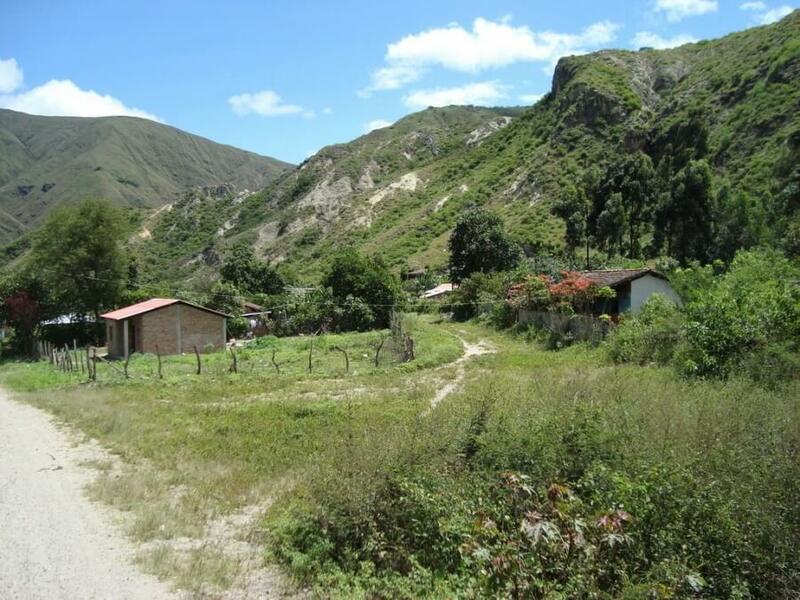 (when enough interest, even directly from Cuenca to Izhcayluma inVilcabamba). – A complete day to day itinerary with all information you need (about transport) and more. Optional: it is also possible to travel during the whole tour with private transport. For each part of the journey we will find you the right transport (private taxi, auto, Mini Van, Pick-Up) to travel from A to B. The extra costs are 390 US$ p.p. for the whole tour. Be aware that Ecuador is not a Third World Country anymore, so most common things are available. If you do have any doubts about what to bring, please feel free to ask us.